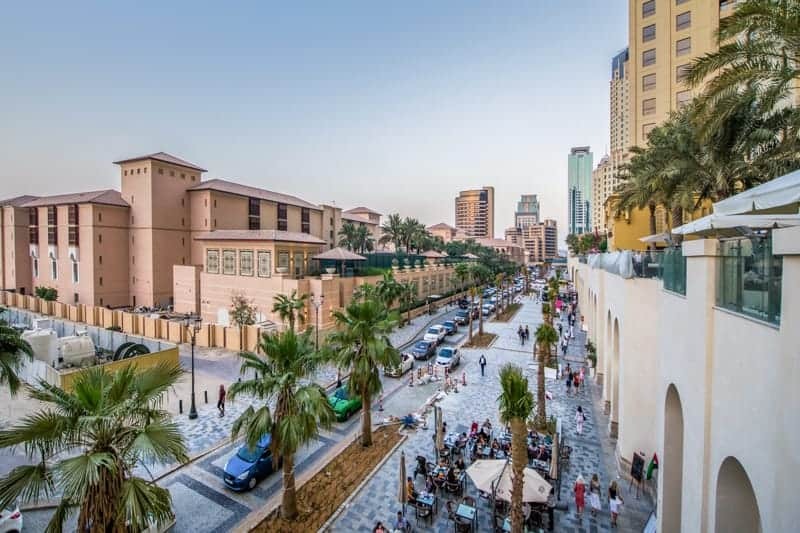 The Walk is a popular outdoor dining and shopping promenade in the Jumeirah Beach Residence/Dubai Marina area of Dubai. 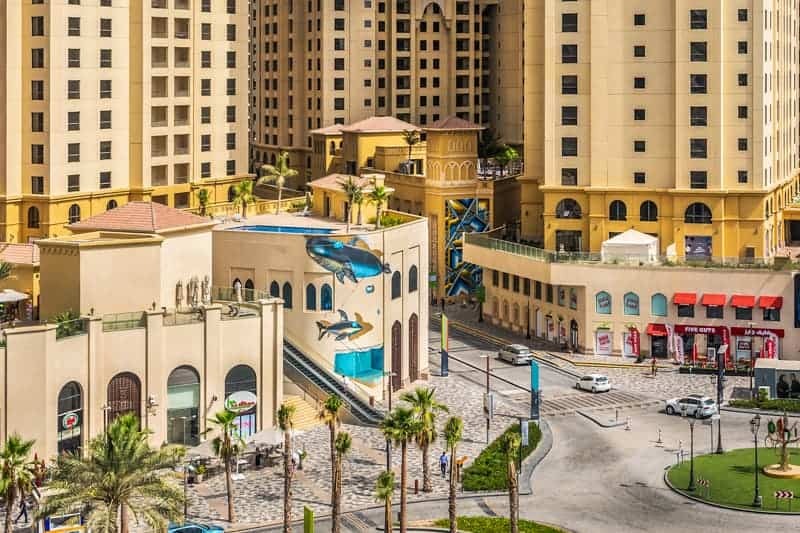 It is set around six blocks of skyscrapers that run for one mile parallel to the seafront. From east to west the blocks are Shams, Amwaj, Rimal, Bahar, Sadaf, and Murjan. Most outlets are located at ground level on the strip, or on the elevated plazas between the towers. The Beach lies between The Walk and the sea and offers more restaurants, shops, and a cinema. 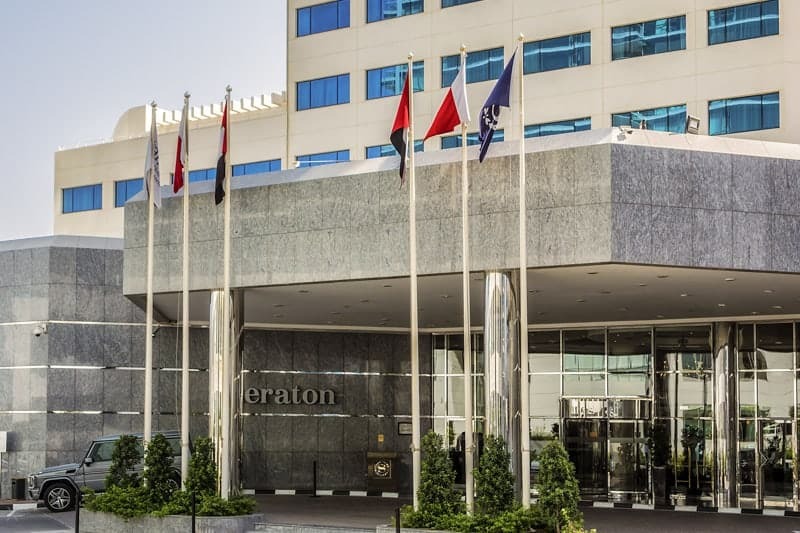 To travel to The Walk on the Dubai Metro, take a Red Line train to DAMAC Metro Station or Jumeirah Lakes Towers Metro Station. 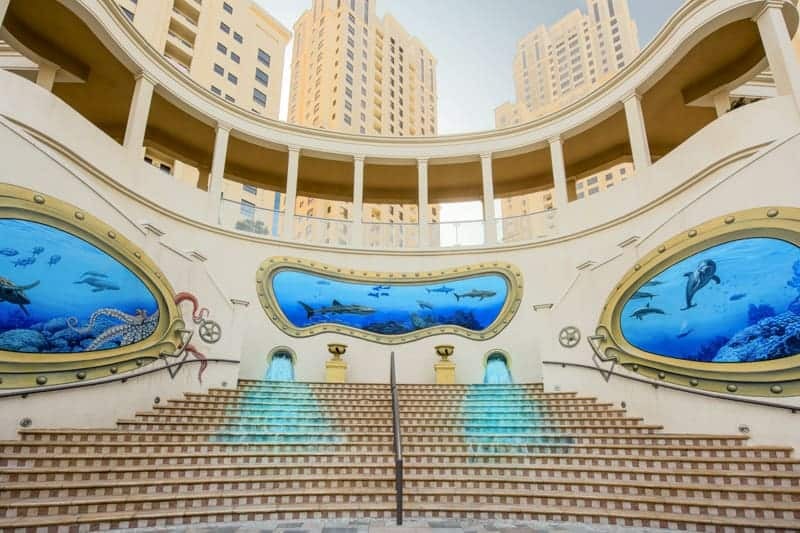 DAMAC Metro Station (formerly Dubai Marina Metro Station) is best for the blocks at the eastern end of the development (Bahar, Sadaf, and Murjan). Jumeirah Lakes Towers Metro Station is closer to the western end (Shams, Amwaj, and Rimal). 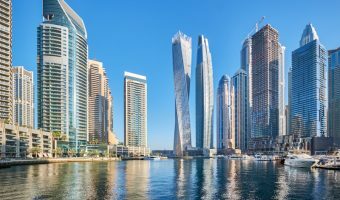 The Walk and Jumeirah Beach Residence can be reached on foot by crossing one of the bridges over the Dubai Marina. Those not wishing to walk from the Dubai Metro can hop on the Dubai Tram. 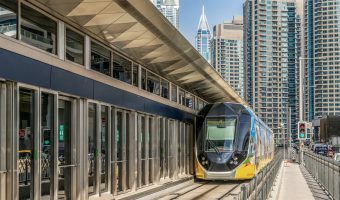 Both Jumeirah Lakes Towers Metro Station and DAMAC Metro Station are linked to Dubai Tram stations (Jumeirah Lakes Towers Tram Station and Dubai Marina Tram Station). 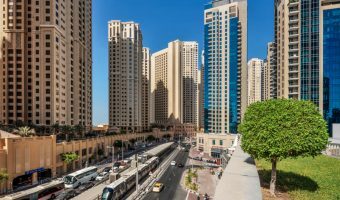 Alight at Jumeirah Beach Residence 1 Tram Station or Jumeirah Beach Residence 2 Tram Station for The Walk. Map showing location of The Walk.